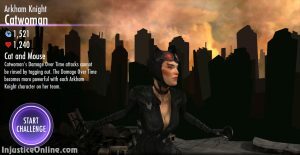 The strength of Arkham Knight Catwoman lies within the Arkham Knight characters. 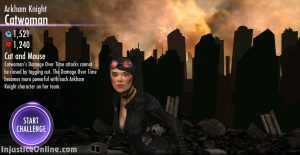 Her damage over time increases with each additional Arkham Knight character on the team. 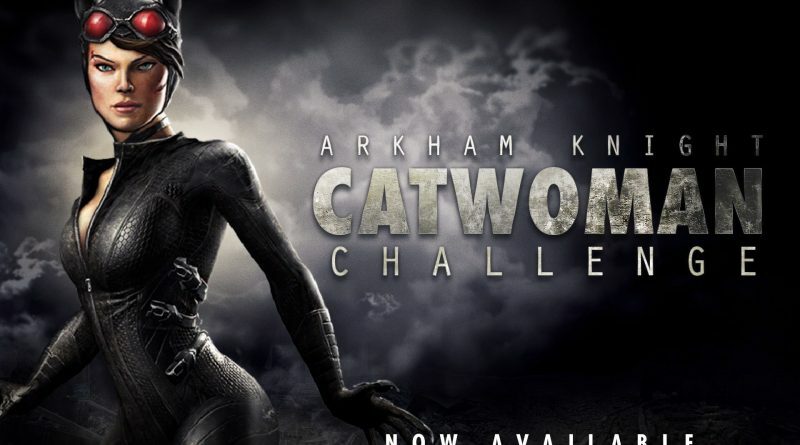 To beat this challenge you must have Nightwing, Joker and Green Lantern in your collection. 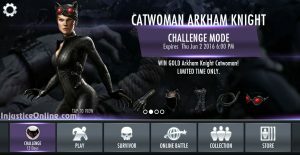 There are bronze versions of Nightwing and Green Lantern and a silver version of the Joker, so this challenge shouldn’t be a problem even for new players who do not have gold versions of every character. 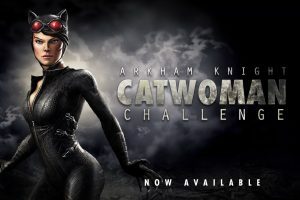 Arkham Knight Catwoman is joining other Arkham Knight characters, including The Arkham Knight, Arkham Knight Batman and Arkham Knight Harley Quinn. This challenge is available until June 2nd, 2016. As far as I know there are current plans. But may be the Arkham Booster Pack will be available at some point.